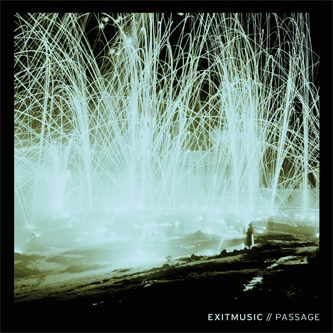 "The debut album from NYC's Exitmusic - Devon Church and Aleksa Palladino - is one of stirring atmospherics and grandiose thoughtful pop. Powerful and nuanced, this is a record that has wide appeal and it is a sound that has been painstakingly put together. Aleksa and Devon started writing several years ago in NYC, and continued when the couple moved to Los Angeles as Palladino's burgeoning acting career continued (she has a major part in Scorsese's 'Boardwalk Empire'), finishing with Nicholas Vernhes at the Rare Book Room in Brooklyn. Chiming, blurry guitars, heavenly, ethereal sighs, elegant and starkly devastating sparks of light..."